In December Al Ewert and I were in Uganda, Kenya and Tanzania. Al works with World Impact and The Urban Ministry Institute (TUMI). He is an amazing individual with such a heart for the gospel and a passion for missions. We spent 17 days meeting with pastors and visiting churches with the goal of seeking new opportunities to expand TUMI in Eastern Africa. We prayed that God would direct us and give us discernment with the church leaders we would be meeting. Indeed, God was faithful and the men we met are faithful servants who are passionate about planting new churches and equipping them to grow deeper in the faith. This is where TUMI comes in. 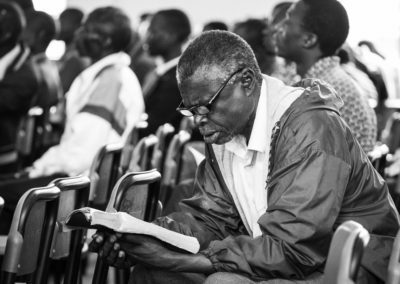 Most pastors in Africa do not have the luxury of time or money for a seminary education. 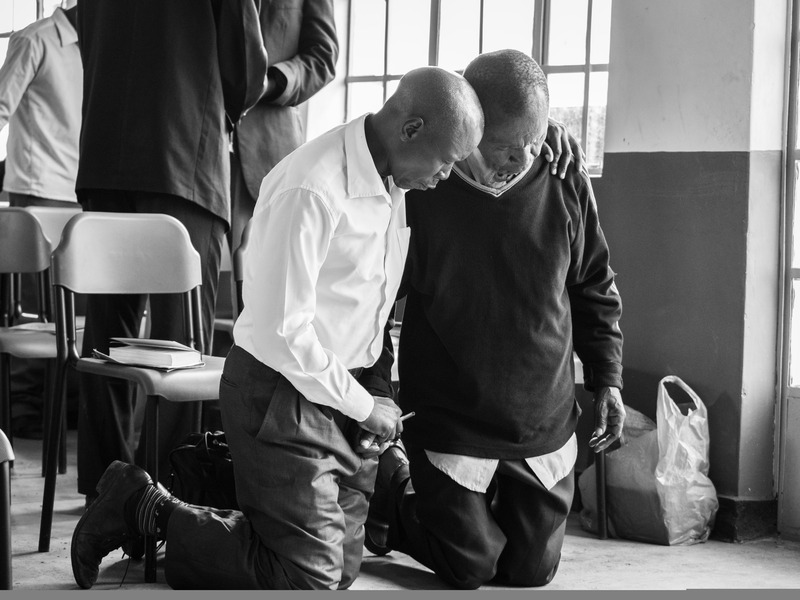 With TUMI training, pastors can get an equivalent of seminary training so they can not only plant new churches but have a solid biblical foundation to equip their leaders. The course takes between a year and two years to complete. It is a significant sacrifice for the pastors, many who are not proficient in English and must first improve their English skills to benefit from the course work. My job on the trip was to photograph and help TUMI tell their story (I shot just under 13,000 photos). 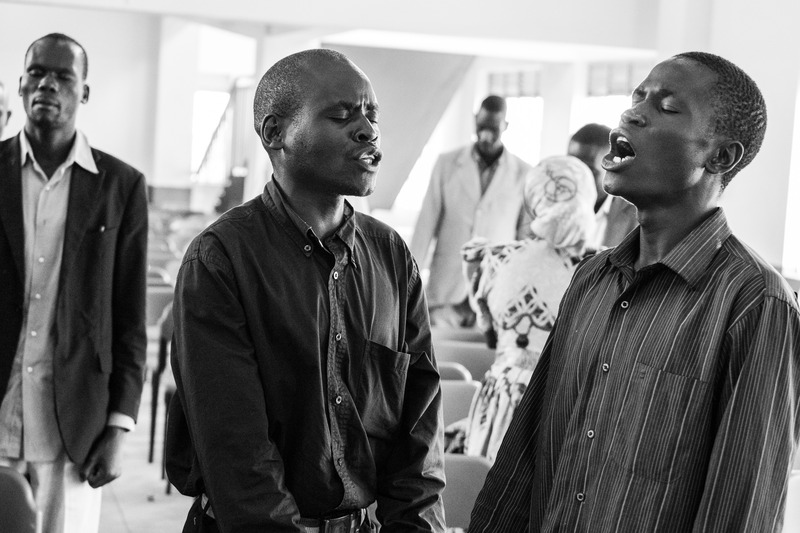 There were so many amazing opportunities to see the Lord’s hand and his faithfulness with the church in Africa. We were in some of the most impoverished areas on the planet. Mathare Valley, for example, in Nairobi, Kenya, is one of the largest slums in the world with a million people living in an area seven miles by two miles (do the math on that). It is mind-numbingly poor. But as much poverty as there is in most of the areas we visited, I do not believe that is the story here. The real story are the leaders we met. There are three things that stood out to me while I was with these great men of faith. Number one (and most importantly) is prayer. 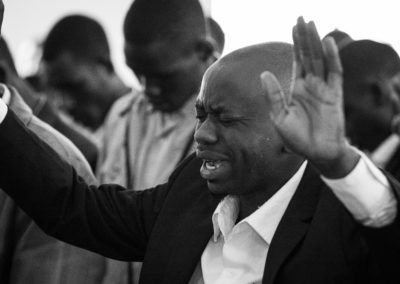 The church in Africa prays. Not to offend any of my western friends reading this but in Africa they know how to pray…we do not. I asked one of the pastors I was with, Boaz, “How do you account for all of the victories you have with the number of churches you are able to plant?” He said, “Brother Michael, I pray, and my church prays.” Every night Boaz sets his alarm for 1 a.m. and prays for three to four hours, sometimes longer. I know this to be true because I texted him recently and he signed off because he was in the middle of his prayer time. A second example – I asked Bishop Charles, another great leader, the same question. His answer, “We pray.” The churches under him have just finished 21 days of prayer and fasting. They do that every January. 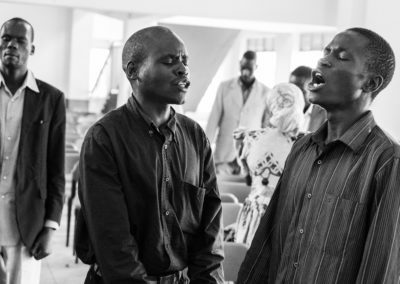 Again, I returned a phone call the other night around 7 p.m. to Pastor David in Kenya. I asked what time it was there and he said about 3 a.m. I was mortified that I woke him up at that hour. His response was that he was already awake – that was his prayer time. As if you need more examples, Al and I visited a prayer meeting that was going strong…lasting for seven days. Secondly, I was impressed by the worship. Not to be critical in any way, but again, the churches we visited were in worship at a different level. There is no way for me to express what I saw and felt when I was hearing the God of all gods being worshipped and praised by his people all singing in Swahili. The Holy Spirit was present…let’s just get that on the table right away. I can’t help but think that all of the time that was spent in prayer made the worship time that much sweeter to the Father’s ears. I might also note that it was hard for me to shoot photos during the worship times because I had tears in my eyes (thankfully my cameras have great auto focus). Thirdly, the Word. There is such a reverence for God’s Word. 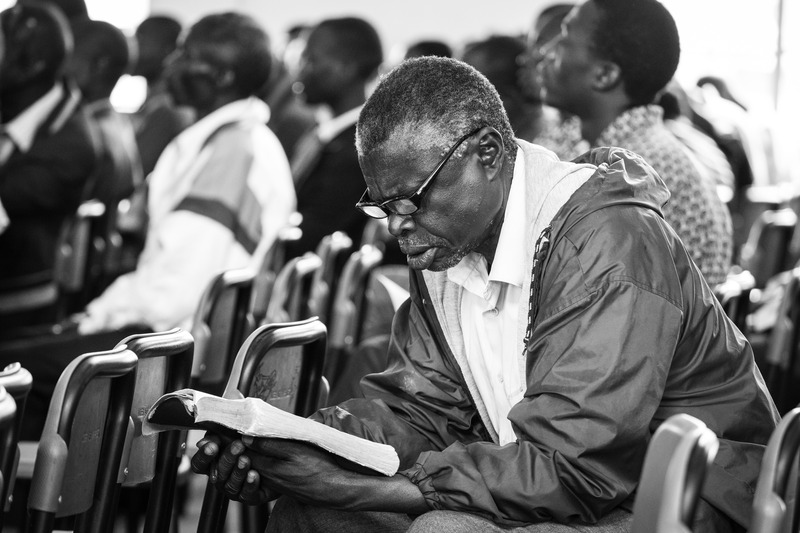 Most Christians in Africa do not have Bibles. The pastors are hungry to grow in the Word. Again, that is where TUMI comes in. The training is vital for them. I took Bibles with me but they were given away almost immediately. I wish I would have left my clothes at home and filled my suitcase with Bibles and TUMI books. Every time I gave a Bible to someone it was if I had given them a treasure. And I had. Interestingly enough as I reflect about the trip and our church and I think that we are blessed to have a pastor who has these three things prominently displayed in his life…Prayer…Worship…The Word…and that he is teaching us to follow after Christ and to obey his commands. Not sitting on the sidelines but in the game.